We’re almost done with all the tips. I feel like I should be charging for all this information or at least writing a book or something. I mean, we’re up over 2k words- I just got a lot to say yall. I guess I like yall enough to hand it over for FREE. lol. Nobody ever said that feeding your family on a budget was easy- did they? Maybe I did. Because it kind of is. I mean, the beginning is a little stressful, but you’ll get there. Once you understand your shopping, and give yourself a realistic budget based on that, it’s all uphill from there. I mean, that can’t be too hard. Can it? Don’t forget about the disclaimer. It’s the same one that I used on part one, but it still holds true. Don’t quote me and don’t hold me liable, folks. 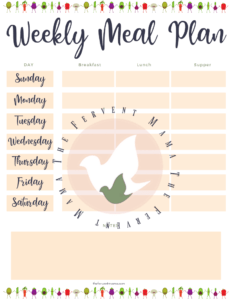 If you’re interested in reading PART ONE where I cover planning, apps/websites, and forming good habits, click over here: Feeding Your Family on a Budget, part one! Baby necessities are a little tricky. 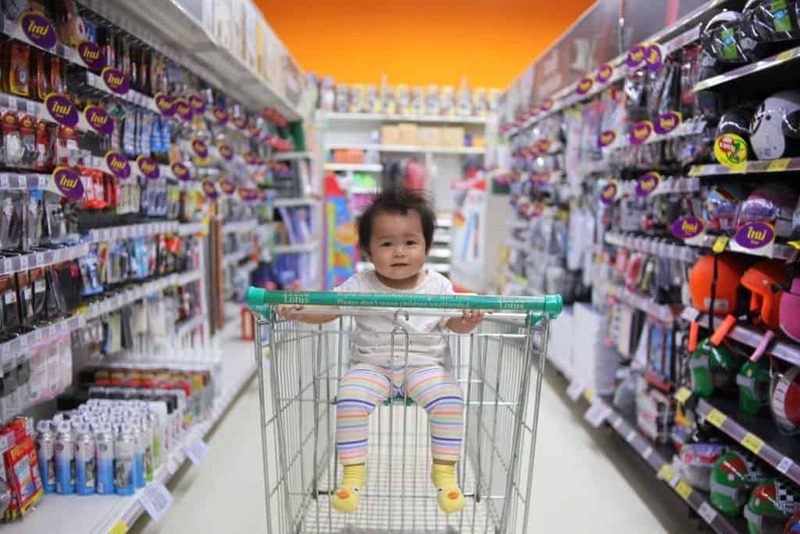 This really depends on your lifestyle because a baby budget is a killer to the big budget. Food, diapers, and wipes can be over $100 sometimes! Diapers and wipes are ALWAYS cheaper on Amazon unless you get a coupon deal. If you are looking for a good off-brand I definitely suggest Cuties diapers– I personally use those and love them. Amazon brand wipes are also a great choice! Check prices for different places, coupon offers, and extra discounts via Amazon. Subscribe and Save often offers baby deals + your 15% off a monthly purchase option. I say make all your baby food. This saves so much money and is so much healthier. It’s SOOO easy so don’t freak out about it. I make all of mine in the pressure cooker and you can check out this post here: Pressure Cooker Baby Food. Cleaning supplies are an easy fix. Stop buying big brand cleaners. Find an all-purpose cleaner that is ultra-concentrated or make your own. Making your own cleaner is easy, cheaper, and better for you. I like to make my own or use Young Living. Their all-purpose Thieves cleaner needs to be diluted so a bottle lasts me months and can be used for EVERYTHING. If you have an interest in couponing, I definitely suggest looking into it! Even if you don’t want to go extreme, it can teach you so much discipline and help you to create a money saving system that fits for you. There are so many blogs that will help you learn how to save at grocery stores in your area! Just Google search “How to coupon at *insert store here*” and see what comes up! 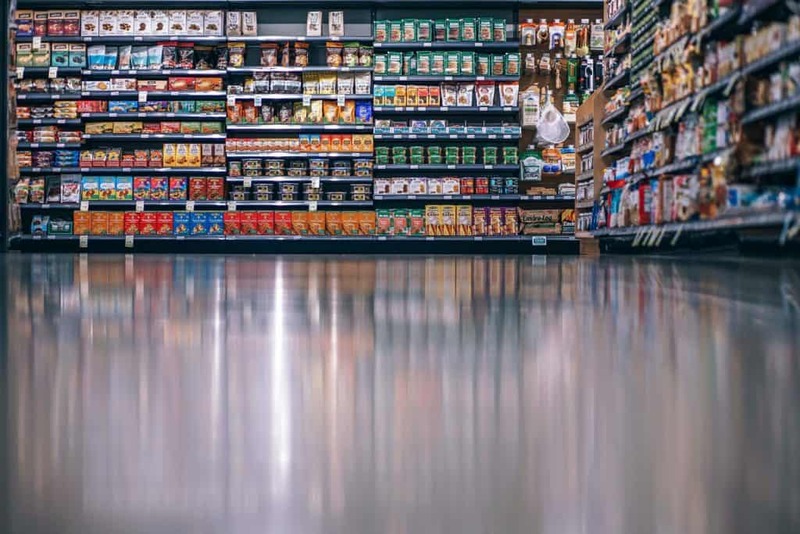 I don’t recommend stocking up on items unless the items are on super sale, you have the extra space, and it is items that your family regularly uses. If those are true, stock only as much as you will use. You know your family, make good judgments. One of the biggest ways that we are able to stick to our budget is that we treat eating out (both fast food and restaurants) as a luxury. We very rarely eat out so we are able to save that extra expense from the budget. If you’re in a pinch and have the extra cash, sure. But ham sammies, breakfast for dinner, leftovers, or freezer meals are great options for those days when things just don’t go as planned. Buy as many off-brand items as you can. I’m not saying sacrifice flavor or your family’s favorites. But what I am saying is branch out and try new things. If you don’t like them, you know better for next time. But if you do, that’s a money saver right there! Don’t be afraid to try new things. There are some things I definitely don’t buy off-brand, but there are some things that I don’t see any difference besides a price tag and a name. You never know till you try it, right? Make a grocery list and stick to it. This helps to ensure that you don’t forget anything (and have to make an extra trip to the store) or add extra items to the cart that you actually didn’t need. If you’re wanting to transform your methods of feeding your family on a budget, then you’ll need to continually evaluate your efforts in order to be the most successful. Sometimes it will be because your needs change, or your lives change. 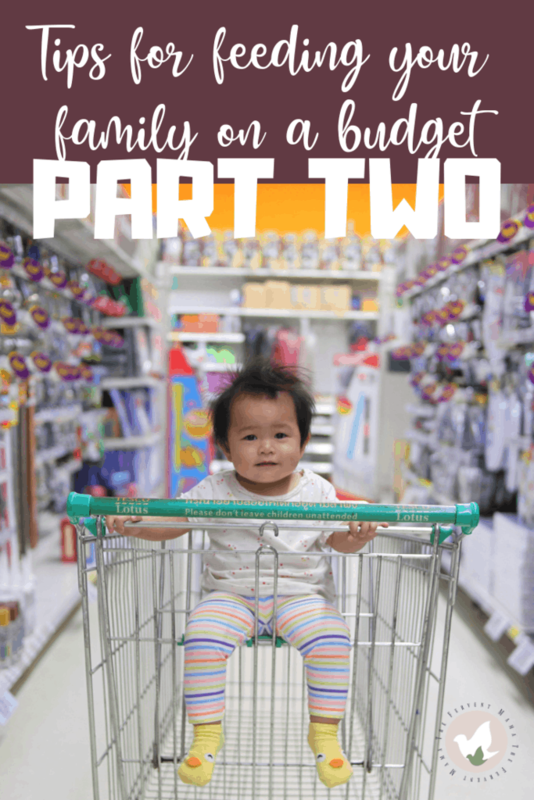 But each time you evaluate your grocery budget, you can believe it will be easier because you’ve taken the beginning steps and you know your family! Again, if you missed part one, just head over there now! 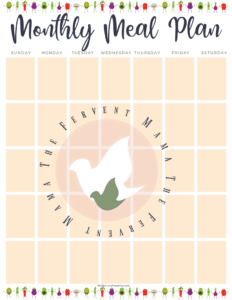 I cover planning, apps/websites, and forming good habits, click over here: Feeding Your Family on a Budget, part one! Now that we’re thru, was there anything that I missed? 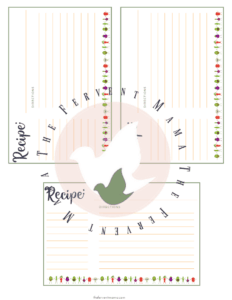 « Clever Solutions to Feeding Your Family on a Budget + Printable! I like to freeze things like rice and beans, because we use them 3 times a week sometimes. I Worked in a nursing home and I had an RN tell me that rice and beans were the perfect meal. I would just smile at him but literally you can make quesadillas in minutes. Try burritos in minutes with the rice and beans and any type of meat for a healthy meal you can also do a burrito bowl if you want to skip the carbs from tortillas. You can do a veggie bowl and add rice on the side. Beans are so versatile. Smashed, whole, pureed in a dip. Thanks for the post.